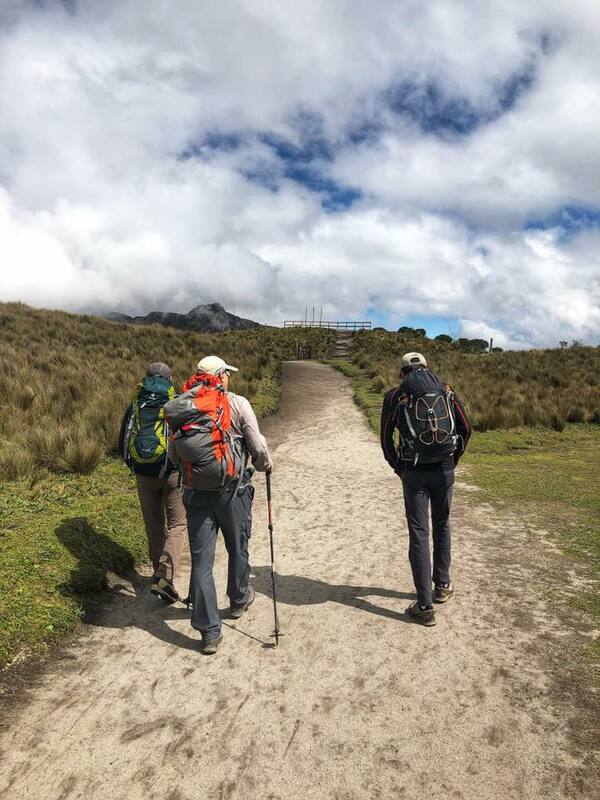 Home » Ecuador Volcanoes » Cayambe » Ecuador Volcanoes 2019: Acclimatization and Rare Bird Sightings! 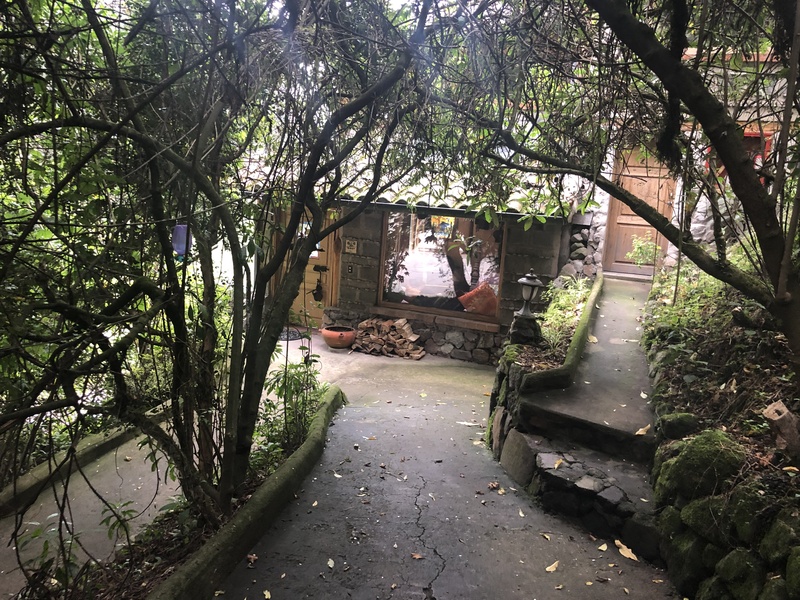 We had another fabulous breakfast at Hacienda Rumiloma and hopped in Ossy’s FourRunner for the 10 minute drive to the telefèric or cable car to the Start of the trail to the summit of Pichincha Volcano which is considered extinct although it is next to Guagua Pichincha which erupted in 1996 covering Quito in a foot of ash. The modern convenience of the cars on cables (image that!!) to 12,950’/3,947-meters to start the hike. 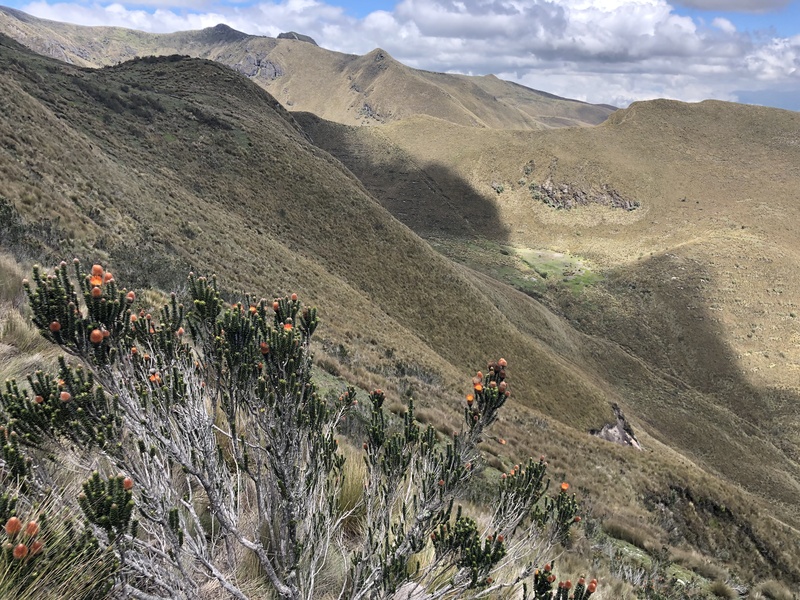 It was a clear, mostly cloudless cool day offering up unlimited views of Quito but not of our three volcano objectives we are here to attempt. The trail were full but not crowded with groups of all ages, nationalities and objectives laughing and huffing as we all hiked higher. Click on any image for a larger view. 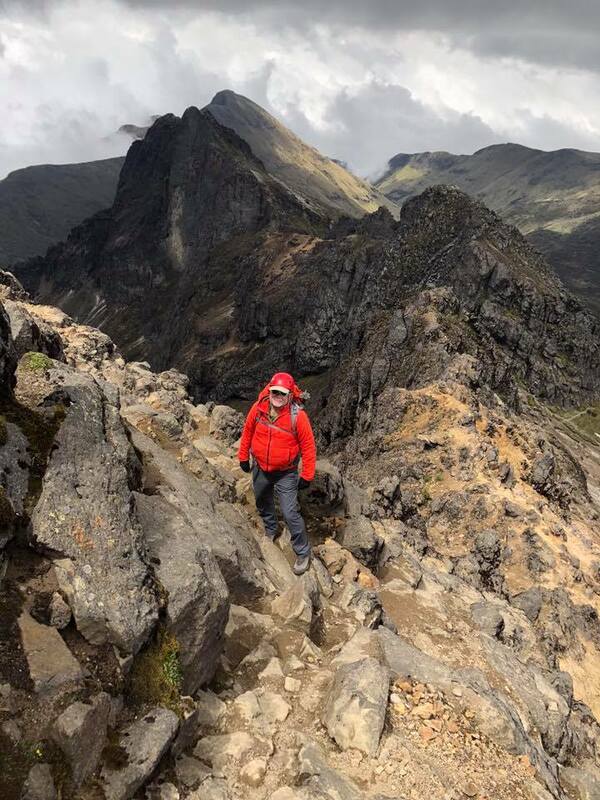 The trail is well worn due to continuous use by visitors and locals alike and offers up some surprises as you go above 15,000-feet. 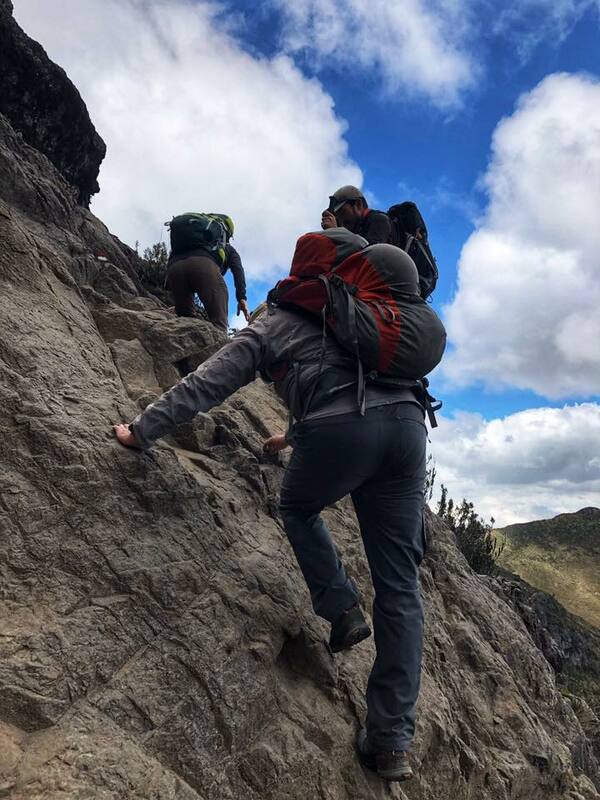 The trail turns into a sandy hill that requires full use of legs and balance, then it graduates to the Eagle Rock, a rocky buttress that ask for easy Class 3 to 4 rock scrambling before surrendering to a rocky summit with great views at 15,407-feet/4696-meters. 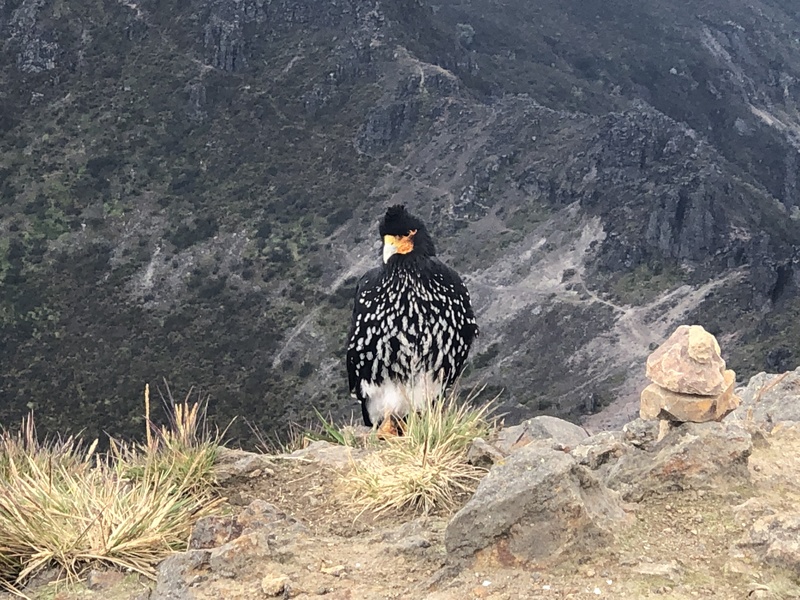 On the summit we were greeted by two Mountain Caracara birds who seem to originate in Panama but like to live in Ecuadoran Mountains above 14,000-feet. Like most mountain birds, they have figured out people mean food, but I saw no one feeding them. 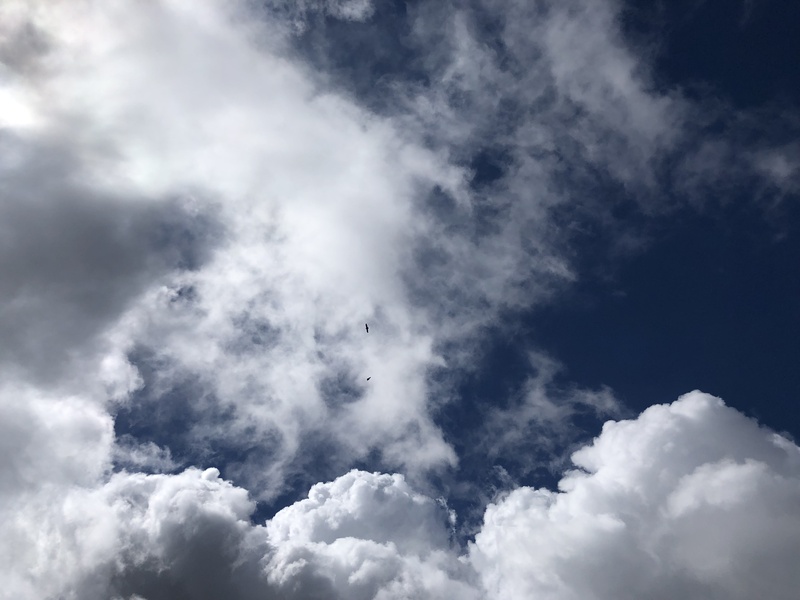 Our clear skies gave way to low cloud that masked the descent but also cooled down the activity. With light down jacket and food gloves were were comfortable. We did wear helmet near the top due to other people above us on loose rock. 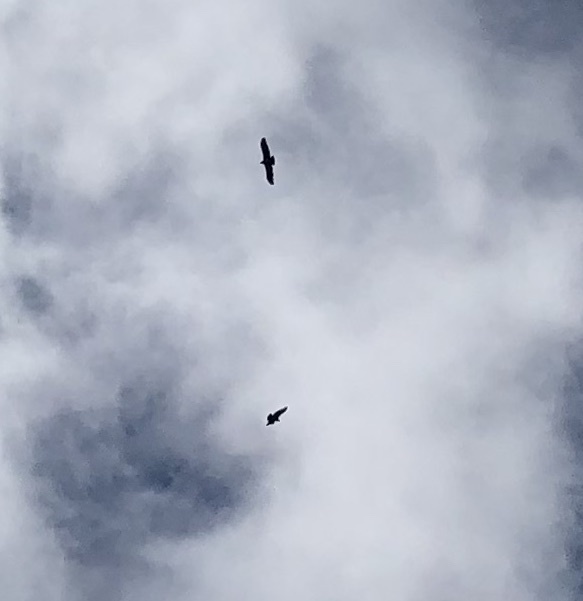 One the way day, once again we were rewarded with the sighting two Condors – a unique sighting of a male and a female, flying another 1,000-feet above us. 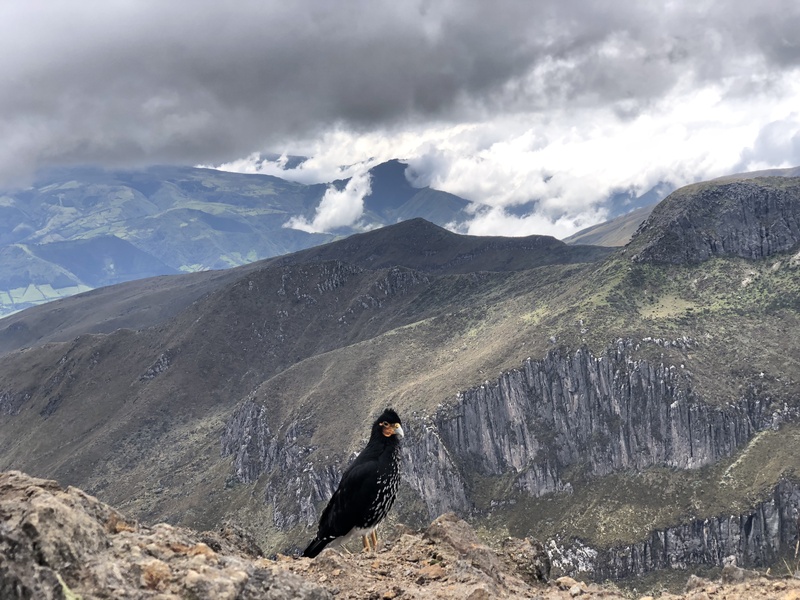 Both the Caracara and Condors are somewhat rare sightings so we were pleased to see them in one day. 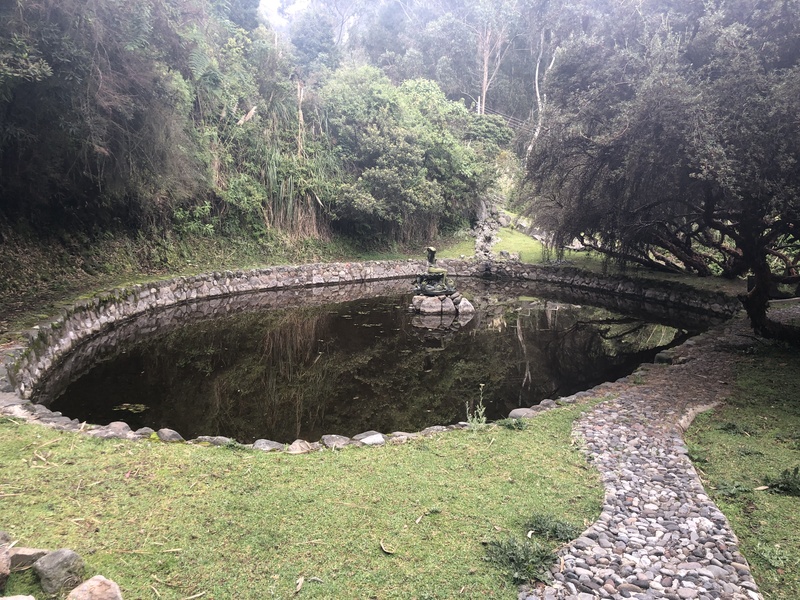 Now back at Hacienda Rumiloma, we will have dinner and sadly leave tomorrow for Otavalo with an afternoon hike at Lake Cuicocha for more acclimatization. 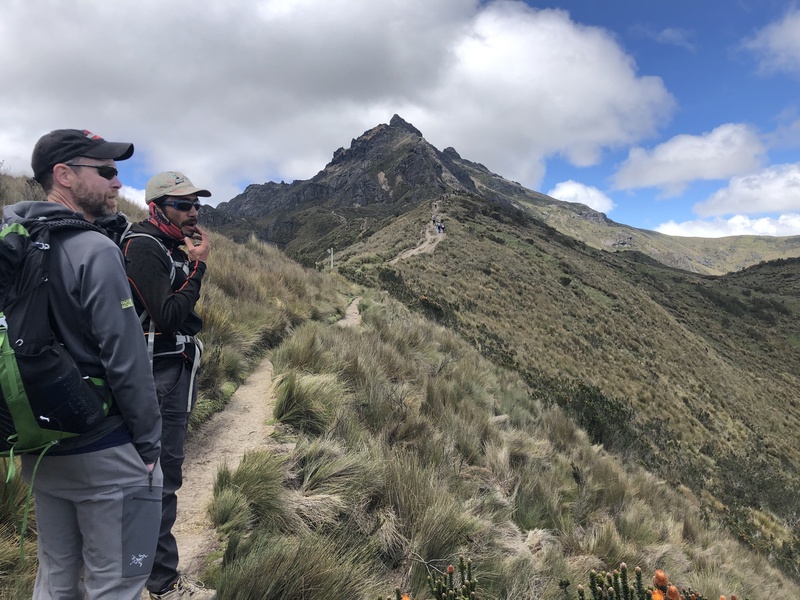 The schedule calls for us to spend the first part of next week on Cayambe, preparing to climb with summit near dawn on the 22nd. 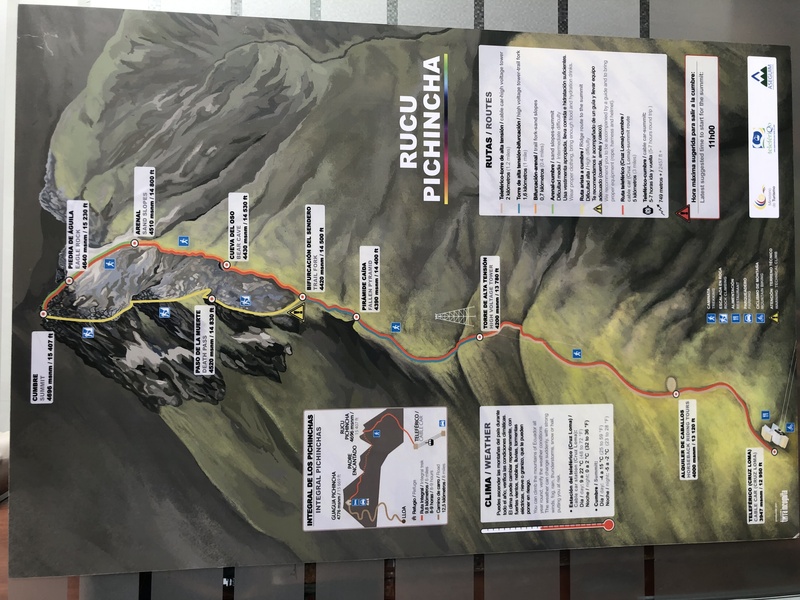 This is an excellent acclimatization schedule that should set us up nicely for the summits of Cayambe, Cotopaxi and Chimborazo all with a 7 day period. 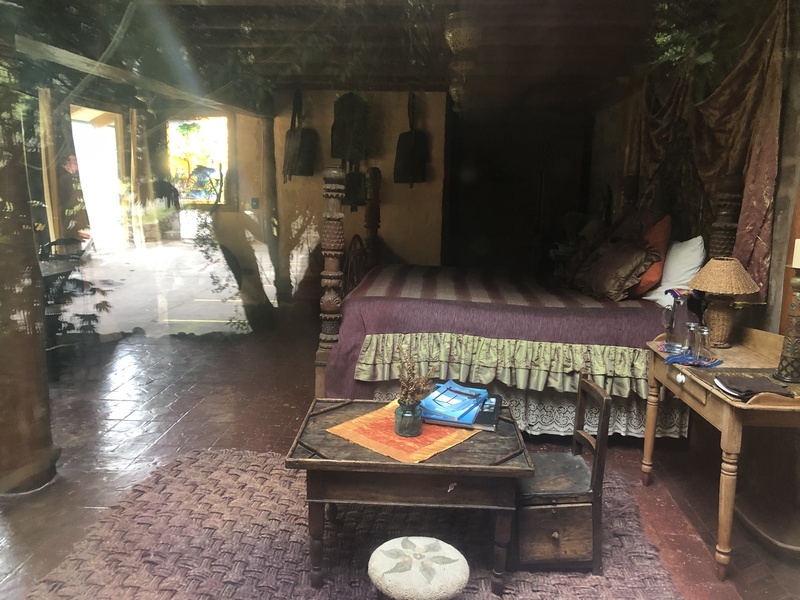 One final note about Hacienda Rumiloma., we will spend three nights here. 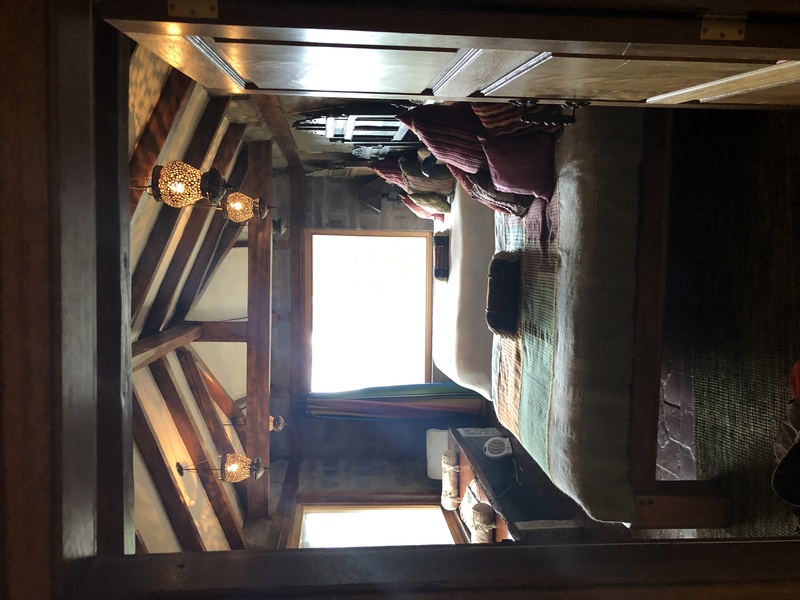 In conversations with Amber and Ossie the Hacienda as often used as a base camp of sorts for visors to the Galapagos Islands, Ecuadorean Amazon Rain Forest and Quito. 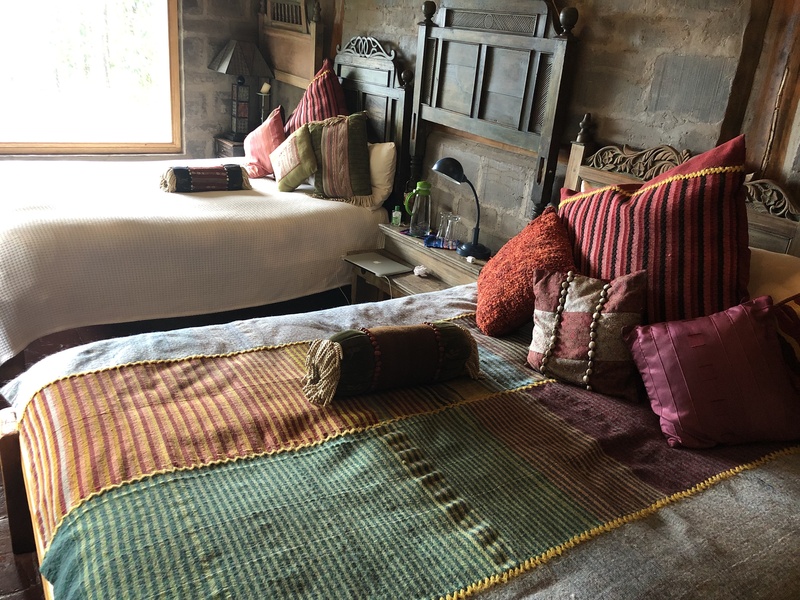 Since the opening 2007, it has become a tradition for families around the world to visit as well as the locals to celebrate marriages, anniversaries or just a weekend get away. 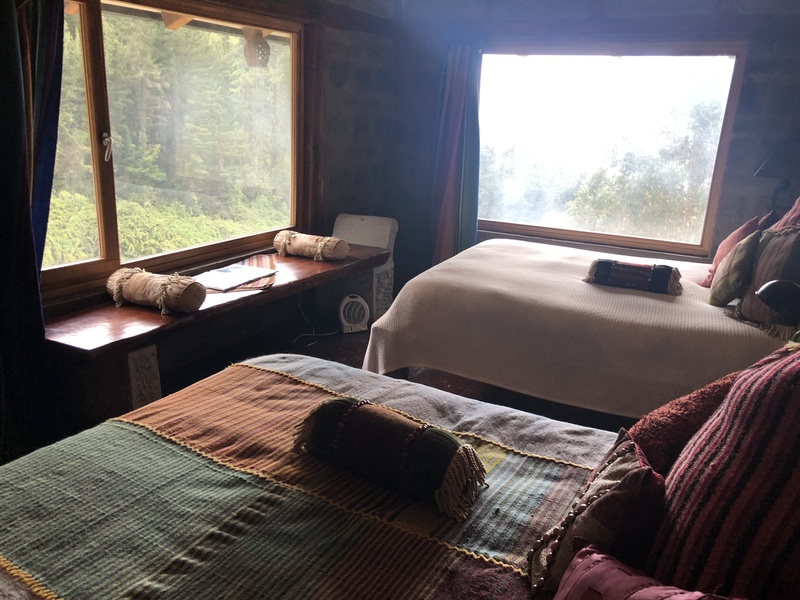 Again, Mark Gunlogsonand team at Mountain Madness deserve a hat tip for such a find along with Ossy Friere who directs their South American programs.